A new healthcare experience in Baltimore. Learn more about Charm City Natural Health's providers and staff. Find out about common conditions and treatments, and learn more about your visit. Contact us for directions, hours, and more information. Charm City Natural Health was founded with the intention of creating a superior natural health clinic. In Baltimore, the CCNH team saw a city that didn’t have the kind of high quality natural healthcare options that it deserved. 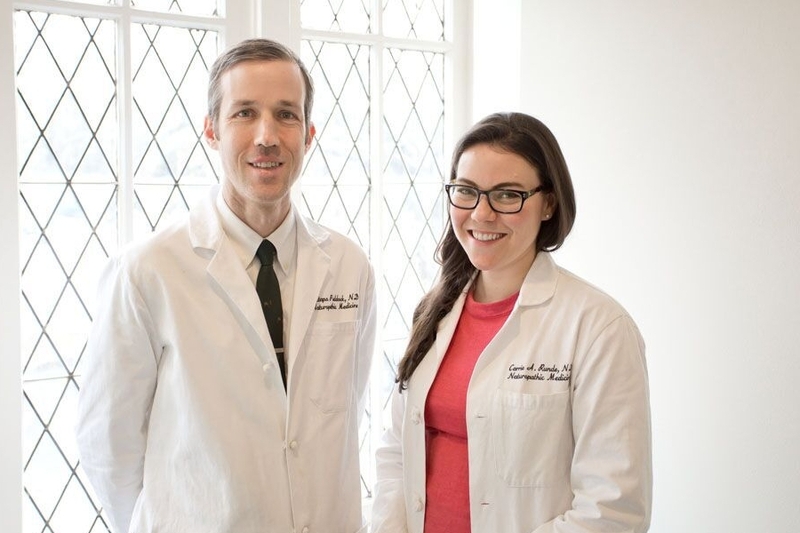 Dr. Paddock and Dr. Runde, two of Baltimore's leading naturopathic doctors, are East Coast natives who received the best natural medicine education that the nation has to offer, and have spent years building their clinical skills in private practice. They are now excited to bring to Maryland a sophisticated practice that is on the cutting edge of medicine in the 21st century. Charm City Natural Health's opening marks the culmination of years of effort to create laws that will allow naturopathic doctors to practice in Maryland. Marylanders, used to having the very best in conventional medical options, can now draw on the best that natural medicine has to offer as well. From the health care itself to the premium natural medicines to the electronic check-in, Charm City Natural Health is a high quality, cutting edge facility that embraces the future without ever sacrificing the human touch that is at the heart of healthcare. We work with men, women and children of all ages, from infants just a few months old to seniors well into their 80s and 90s. We use a range of natural therapeutic tools, including diet and lifestyle changes, nutritional supplements, herbal medicines, homeopathy, and other treatments. As experts in natural medicine, we have a wide range of tools to use in addressing our patients' health needs. Located in scenic Roland Park, right off Interstate 83, we serve patients from all over the greater Baltimore area, including Baltimore County, Howard County, Harford County, Anne Arundel County, and beyond, even all the way to York, Pennsylvania and Washington, D.C.